Yesterday morning/evening (delete as applicable) I went round to see my neighbour-in-chief Bazil Frintonby as I wanted to borrow one of his pipe cleaners in case I ever took up smoking. 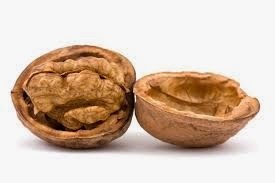 Sadly he had no pipe cleaners to speak of, but instead invited me to borrow a walnut in case I ever took up eating walnuts. Or indeed, smoking them. I declined his offer and instead asked for the loan of a Hargoyne as I had seen one in the corner. Some of you might not know what a Hargoyne is. At this point his unusually mauve wife Goopton turned up and began screaming something about Birmingham Polytechnic, while throwing sherbet all round the room. Sensing it was time to leave, I left. Nevertheless without people like Bazil and Goopton, I wouldn't have had anything to do yesterday morning/evening (delete as applicable).